This brand is much stickier than the yellow and white brands. It gives a better sensory experience to your students. 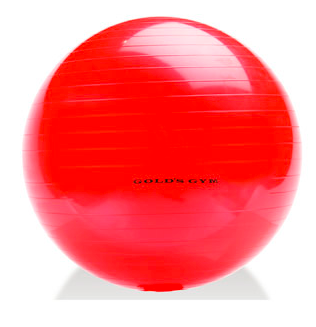 Wiggling in seat / falling out of seat: Try using a exercise ball as a chair. If you have tile floor, you’ll want to get the ones with sand in them so they won’t roll away. The balls come in different sizes and colors. My daughter’s teacher had balls donated to her class so every student had one to use. When her teacher’s gym got new ones, so they gave her the old balls. If you can only afford to buy one or two balls, set up an “office”. The office is away from the class (as much as possible) there is a desk, ball chair, headphones (are great, too) and box of school supplies. Use bookshelves or chart stand to enclose the area. Explain to your class the purpose of the “office”. It’s a place to work when you feel like you need a quiet place. It’s a place to help you, it is not a timeout or place of punishment. Students may ask to work in the “office”. You will be surprised at how well this will work with your students. When students see this as an area to help them, rather than a punishment, they buy into it more. This is a great website, full of helpful information. This is a wonderful post. I am definitely pinning your ideas for dealing with girls with ADD/ADHD. I love the ball idea! Great point! I also usually get a class full of wiggly worms every year (including 3 girls this past year!) I also have a son with ADHD so I get it all day long! I have had success with the office idea as well, but I have never tried headphones – I think I'll work on that for next year. What kind do you use? Thanks for posting this article. My daughter has ADD and many of her teachers have failed to acknowledge it because she isn't hyperactive in class. She wants to please her teachers so much that this is all she focuses on, and misses the lesson. I'm glad you ladies found some helpful information with this post. 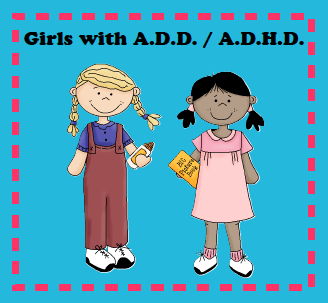 I know I personally learned some new tips when I began reading about the difference between girls and boys with ADD/ADHD. For headphones, I've tried two different types. My tech teacher gave me some broken headphones that I cut off the cord and used. I've also bought some of the headphones at Home Depot ,that guys who use a jackhammer use. These are by far the best ones, but they are pricey. I think several years ago when I bought mine they were $25/piece. Sometimes your librarian also has broken headphones that she/he will donate to the cause. Good luck! Great post! I found you on pintrest! I have two daughters with ADD. My son doesn't have it…strange, huh? Anyway, my oldest finally got help in ninth grade, and I've been more on top of things with my youngest. It presents itself completely different with girls, but I ache for the social problems it creates. Thanks for getting the word out! As far as headphones go, remember that some kids ( my ADHD daughter included) NEED noise to focus. She is allowed to listen to classical music while working and the difference is amazing. The way my ADD husband explains it to me (he has the same tendancy) is that it cuts out the constant stream of dialog going on and that white noise is almost annoying to him, like a constant buzzing to the rest of us. So, if quiet phones don't work try giving them some classical to listen to! Michelle, I appreciate the articles about girls with ADHD. It is just so hard for them, when they do not have the perfect social skills we expect of girls. As an adult with ADHD who works with ADHD and ADD girls all the time– thank you so much! This is great. So useful. The ball idea sounds awesome…I only wish I had access to them! 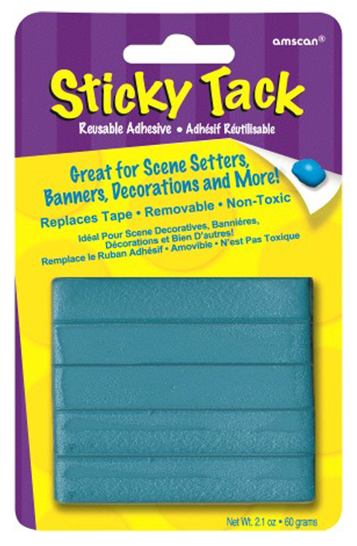 How do you keep the kids from being distracted by the sticky tack (or losing it or sticking it to the carpet/walls/tables, etc)? I have ADD and I know that would have been a major distraction for me. I wouldn't be staring into space, but I wouldn't have been listening either. I teacher kindergarten and I have one little girl who is on the moon most of the day, she has a new best friend who is almost as bad (I'm not sure whether to be glad the new friend has brought her back to earth, or frustrated that they now distract each other). I'm not really sure what to do with them most of the time, none of the tricks that worked great with my ADHD boys last year work!